State Treasurer Dale Folwell is raising red flags about a proposed merger between publicly owned ECU Physicians, the medical practice of the Brody School of Medicine at East Carolina University, and Vidant Medical Group, a private entity that would assume controlling interest. Folwell is sounding many of the same alarms he voiced over the proposed UNC Health Care-Atrium Health mega-partnership that collapsed March 2. He cited a dearth of details in a negotiation process lacking transparency. During his monthly Ask Me Anything teleconference Tuesday, March 6, Folwell told reporters he might seek something similar to the $1 billion performance bond he proposed for the UNC-Atrium deal. The financial guarantee would be intended to offset any increased medical costs for the State Health Plan, or payouts by state taxpayers. “I wouldn’t take that off the table,” Folwell said. “We’ve had at least one meeting with the principals at Vidant, and the principals at ECU, as well as folks here from the Local Government Commission, the pension plan, and the health plan to go over some of these issues,” Folwell said. He plans to meet with the parties again next week. “We have not gotten specifically what we’re asking for,” Folwell said. 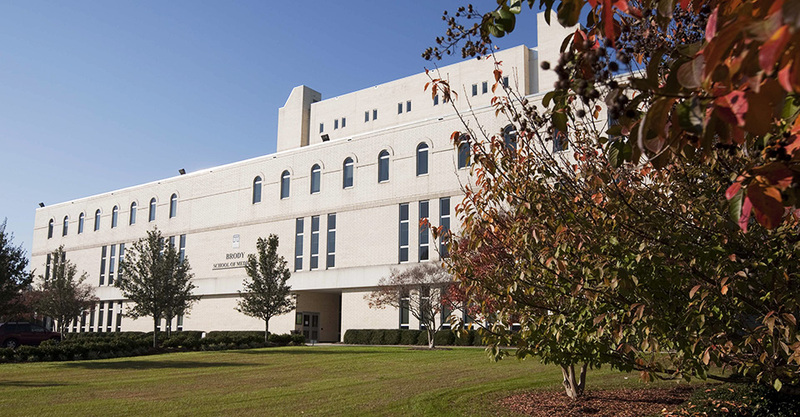 Topping the requests is written assurance that the tax-exempt status of the state retirement system — the world’s 26th-largest public pension — would not be jeopardized when state employees affected by the merger went under the supervision of privately owned Vidant. Attorneys also must determine the impact of ECU’s taxpayer-financed debt backed by the full faith and credit of the state. It’s also unclear what would happen to ECU facilities built with taxpayer funds. Under the proposal, dubbed Project Unify, Vidant would make an upfront payment of $35 million to ECU, and annual payments of $14.25 million to support Brody School of Medicine. Vidant would bear financial responsibility of the new entity, called VECU Medical Group. ECU Physicians employs more than 350 doctors and 80 advanced practice professionals at 25 medical clinics. Vidant Medical Group has more than 420 medical providers at more than 80 sites in the eastern part of the state. Its parent Vidant Health operates eight hospitals. ECU says Project Unify would address changes occurring in the health care delivery system by creating a national model of rural health and wellness that reduces costs and improves quality in eastern North Carolina. In a statement to Carolina Journal, ECU said the General Assembly has encouraged institutions in the UNC System to create private, nonprofit corporations to support the mission of the university. The the new VECU Medical Group would be legally obligated to support the Brody School of Medicine’s mission. The UNC Board of Governors appoints nearly half of the board of directors of the Vidant Health hospital system. While the ECU-Vidant agreement in many ways resembles the proposed UNC-Atrium pact, Folwell said there are key differences. The UNC-Atrium proposal involved a joint operating company of dozens of hospitals, some with overlapping service areas. This arrangement raised alarms about stifling competitive pressures that keep health-care costs down. The ECU-Vidant deal involves mostly primary care and specialty clinics in eastern North Carolina, a medically underserved region of the state. Folwell recently has urged the Council of State to be more involved in decisions to buy, sell, and dispose of state property. He raised the issue again Tuesday at the Council of State meeting. He believes the Council of State should clarify its constitutional role to act in such matters. Until that happens, it should ask tough questions about proposals that would affect state taxpayers. “There are millions of dollars’ worth of taxpayer money that was spent on this dissolved [UNC-Atrium] merger” through payments to attorneys, actuaries, accountants, consultants, and public relations firms, Folwell said. The Council of State has played a marginal role. To date, the hospital giants have refused to release details of their proposal, he said. At a minimum the Council of State, whose 10 members include the governor and nine elected department heads, should demand a review of these types of deals, Folwell said. “We’re keepers of the public purse,” he said, and should keep taxpayers informed. Ardis Watkins, spokeswoman for the State Employees Association of North Carolina, has a quarrel with the ECU-Vidant plan, which would give Vidant controlling interest. The state has no business helping to create a monopolistic health-care system in one of the most economically depressed parts of the state, she said. Nor should it relinquish facilities built at taxpayer expense to help meet medical needs in the region. Watkins said she wasn’t satisfied by answers from ECU and Vidant at the meeting Folwell convened, particularly those involving employees’ constitutionally guaranteed due process and property rights in their jobs and benefits when a job is taken away. A Vidant acquisition could jeopardize state health and retirement benefits for 1,321 state employees, Watkins said. “They can’t believe it. They’ve worked hard for something that’s turned a profit because of their hard work, and an entity that couldn’t make that same profit is getting ready to scoop them up, and probably get rid of them,” Watkins said. “You could have worked there 29 years and not achieved your 30-year retirement, your defined benefits, because of a decision that a handful of folks made in a vacuum without legislative approval, without going to the Council of State, without any of the kind of things that Treasurer Folwell is calling for in the future,” Watkins said. Because she believes the ECU-Vidant and UNC-Atrium deals are identical policy issues, she is surprised the UNC Board of Governors has not made any statements or raised the same level of concern it did with the UNC proposal. The UNC System did not respond to a Carolina Journal request for comment. Watkins said SEANC has contacted BlueCross BlueShield of North Carolina, which opposed the UNC partnership because of its potential to raise insurance premiums, and state Attorney General Josh Stein, who was prepared to explore antitrust issues with the UNC-Atrium deal. She is awaiting responses.